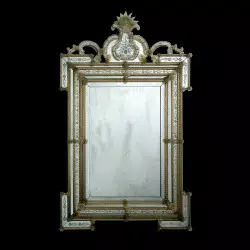 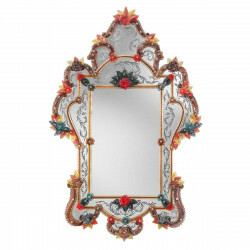 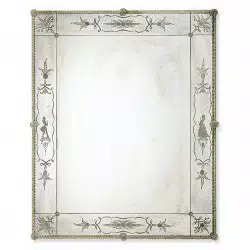 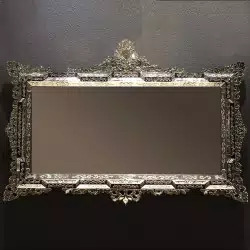 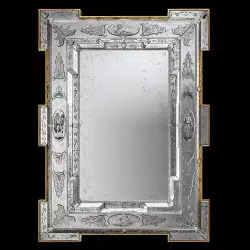 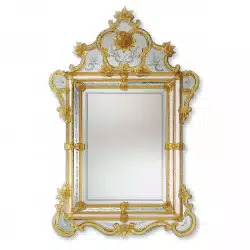 Genuine Venetian mirror captures the light with its beautiful, hand engraved, amber frame and glass details. 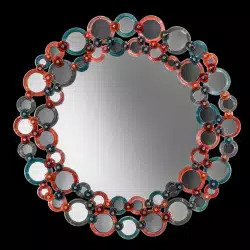 The mirror is made using true Murano glass. 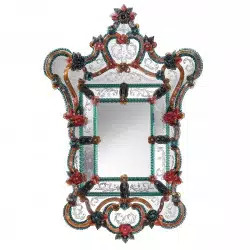 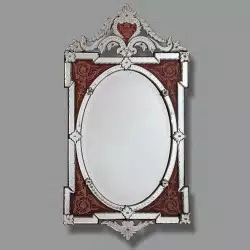 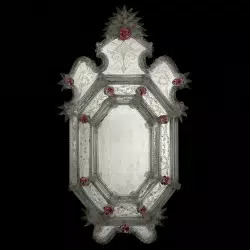 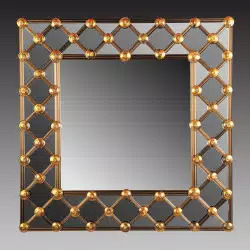 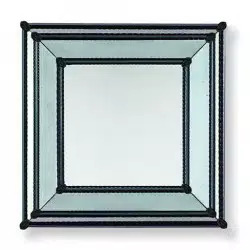 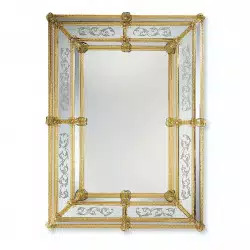 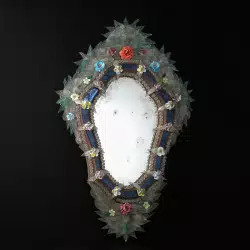 Easy to the eyes, this mirror, made from authentic Murano glass gets an additional charm from the lovely amber frame with ornate detailing and subtle glass accents. 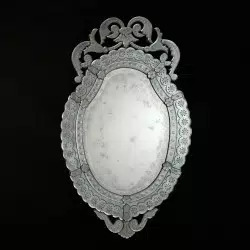 The Muranese hand engraved glass finishes off the design, making it sublte, refined and alluring, definitely worth an investment. 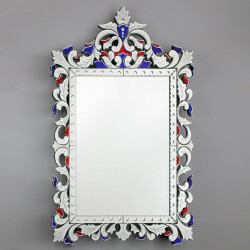 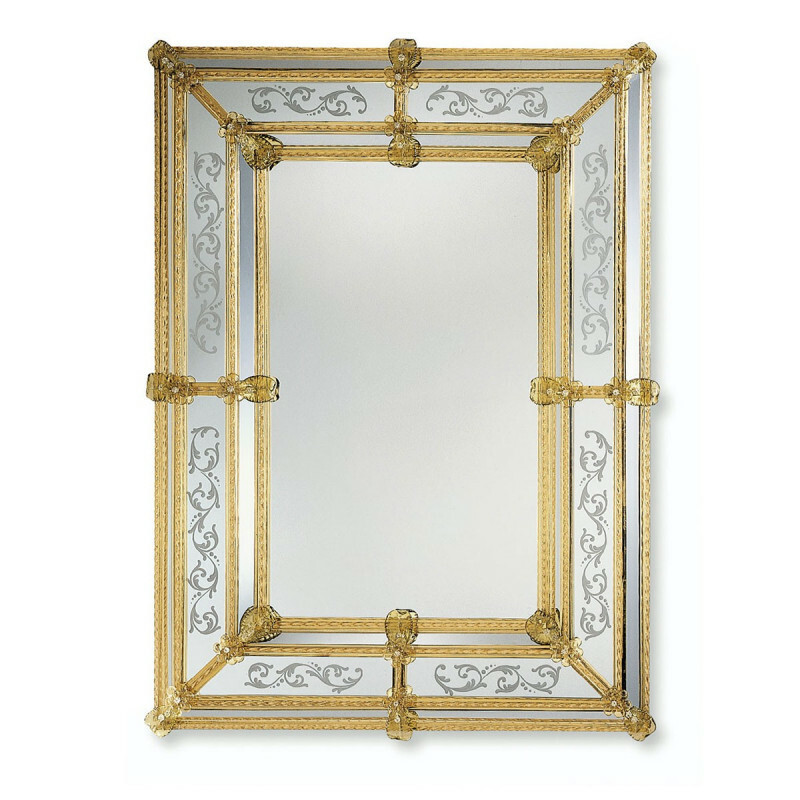 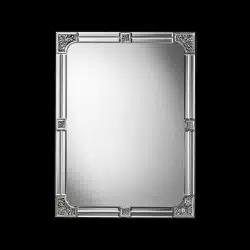 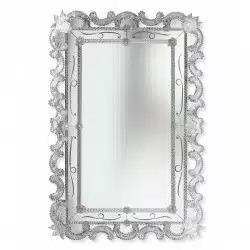 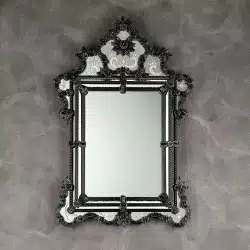 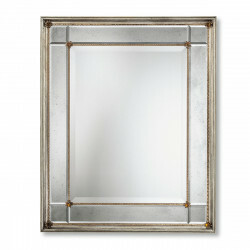 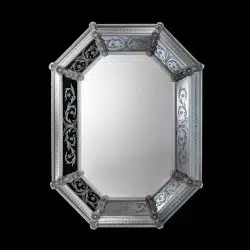 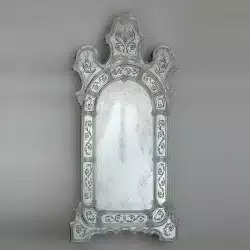 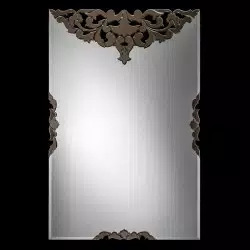 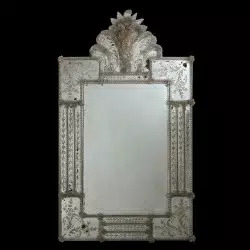 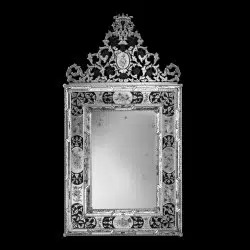 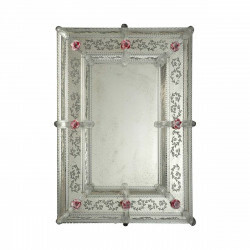 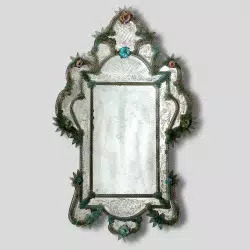 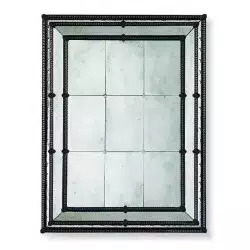 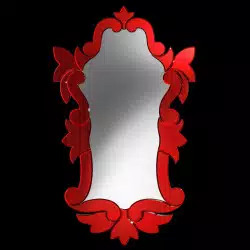 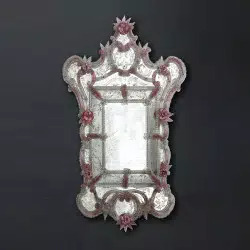 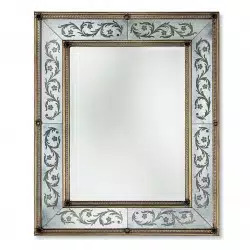 This authentic Venetian mirror works well as an accent design or as a replacement for your vanity mirror.